I keep harping on making your copy something that answers a customer’s question or provides them with what they’re looking for. The first chance you get to do that is when they look at the search engine results for whatever it is they’re looking for. This is where all that “being clear and truthful” stuff really comes into play with those SEO keywords and phrases. 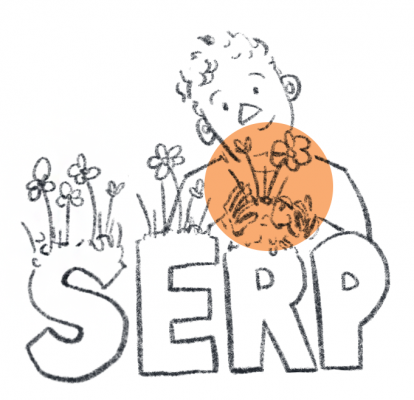 We’ll go over some vocab then look at a couple of my favourite resources for wrapping your brain around search engine behaviour. Like with all this e-commerce stuff, it’s nice to learn the “right” terms for things so you can look up (read: Google) answers to your problems more easily. A lot of this stuff is the sort of thing you already know, whether you know it or not because if you use the internet, you’ll have encountered it! A page title is basically what it says on the tin. The quick definition is that it’s the title of the web page (obvs), which means it’s the big blue letters you see on a search page or the little letters in your browser tab. If you’re looking for more information, Moz has a really good description of page titles and tags with examples. We’ll use the imaginary Four Thieves Bath Bomb as our example here. Think of it from a potential customer’s perspective: if you’re looking for bath bombs and one mentions right there in the title some scents you’re interested in? You’ll be more likely to click it. Think about those keywords that you did research on earlier. Look at them being used again! If you’re in control of your page titles you can also adjust product names to make more sense outside of the context of your shopping site. There, that’ll look way better when it shows up on a search results page. And, this is also one of those opportunities to see if maybe your product name could be optimised. So much of managing an online store is thoughtfully refining how you do things to make it easier for folks to find what they want. Does that text look familiar? It’s the short copy we figured out earlier! 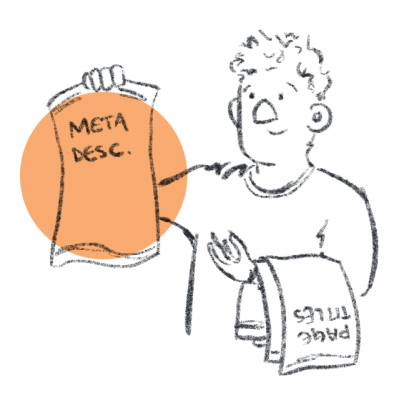 There’s a bunch of tips about meta descriptions over at Yoast, with links to more articles about their changing ideal length. Since things seem to be in flux a bit, the current recommended meta description length is 155 characters. Like with page titles, some content management systems will automatically grab text for a meta description. And just like with page titles, it’s not always ideal. But, if you’ve done all the prep work and figured out your short descriptions, then you can just pop them in the meta description and be set. Back in the old, bad days of SEO, meta tags must have meant something. Nowadays though, they’re sort of just a thing search engines have grown out of caring about. So don’t stress adding keywords, if your CMS has a field for them. Actually, there’s one place meta tags can be really useful. 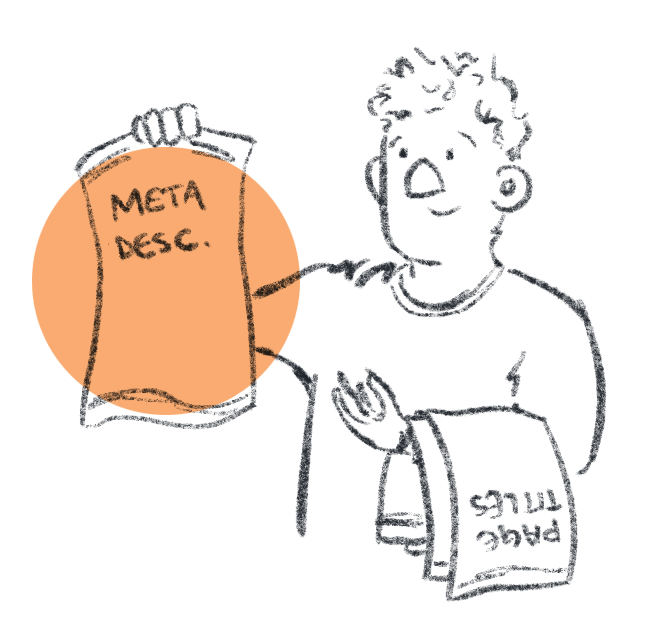 In some content management systems, like certain builds of Magento, the internal search looks at meta tags along with product descriptions. That means you can put keywords and phrases into your meta tags that you can’t otherwise shoehorn into product descriptions, for more control over what users see when searching your site. This can be useful especially for esoteric categorisation, like temporary product categories inspired by popular media. It’s also good for sneaking in words and spellings you personally hate, but that customers use all the time. 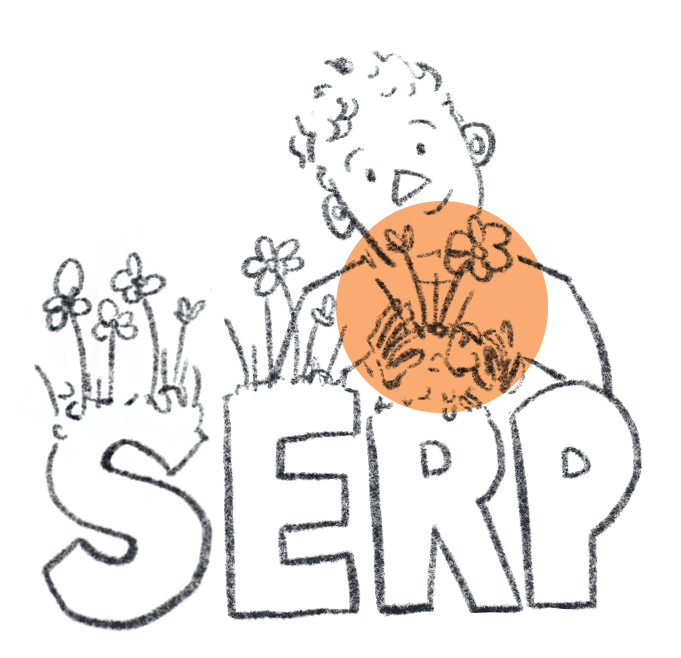 I felt incredibly dumb when I realised “SERP” just means “Search Engine Results Page.” It’s the thing your preferred search engine gives you after you type something into the search box. A lot of the results are just the same blue page title and little grey meta description we’ve been talking about, but you’ve probably also encountered the more exciting “features” on a search engine results page, like pictures and graphs and business hours. Moz explains different SERP features here, with a lot of helpful images. Here’s a sentence that might not have made sense a while ago: “Learning how to optimise the short description on your PIP, and what you can customise through your CMS, allows you more control over how your product appears on the SERP.” Jargon is so dumb, but also helps us more quickly convey the things we’re trying to convey. Just like keywords. Let me be honest here: search engine algorithms are weird and wild and unknown. They’re also always changing! It’s a constant arms race between a search engine trying to serve relevant results and people trying to game the system to get their not-quite-relevant results to the top. 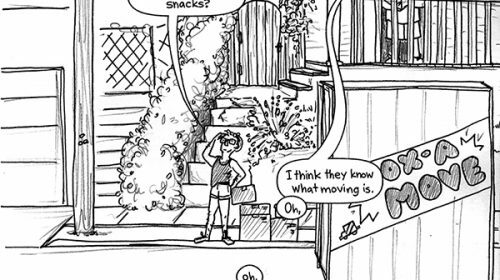 It’s frustrating when you just want potential customers to find your products so you can make money to live, but the way to get there seems labyrinthine or inaccessible. From what I’ve experienced, the best course of action is the same as in most of life: be clear and be honest. And try to enjoy yourself where you can. These tools and sites are useful for understanding basics and keeping on top of all those changes that keep happening with search algorithms. Like most sources out there, Moz is selling something. They’ve got SEO tools and lessons you have to pay for, but they also have a pretty comprehensive free series of resources for learning about SEO. They’re a go-to for up to date character limitations on the SERP and keeping track of current practice. That’s the nice thing about companies that offer both paid and free resources, especially if they’re trying to place themselves as the primary knowledge source of an industry: they keep things up to date on the free stuff because they have to update the paid stuff. Like Moz, Yoast has both free and paid courses and tools. I’m personally super fond of their WordPress plugin. It’s got lots of options and good walk-throughs to gently teach and guide you in optimising your content for SEO value. The free version is honestly robust enough for most folks as well. The last team I worked with I got set up with Yoast so they could start learning keyword density and finessing things like the metadata at their own pace. Their simple red/yellow/green light system for content SEO is intuitive. Another bonus is that their documentation is good and lots of folks use Yoast, so you can look up answers for things that might be confusing to you. Their most utterly valuable tool is their Real Time Content Analysis tool. 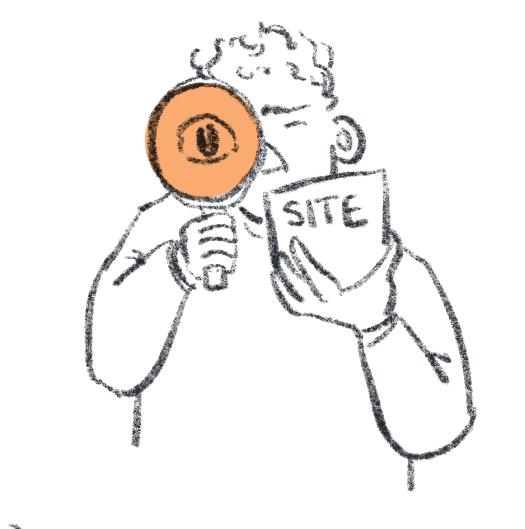 It’s basically like a tiny version of how their plugin works, and it’s how I made the fake search engine snippet for the fake product in this post. You can plug your content in and see what’s working and what’s not, check the length of your page title and meta description, with fast and clear feedback on what you can improve. I super recommend at least playing with the Real Time Content Analysis with any of the copy you’ve been working with while reading these posts. I think doing is a huge part of learning and I’ve found the system they use is pretty intuitive for most folks I’ve shown it to. Okay, you’re all loaded up with facts and resources, and you’re making changes and progress in updating and optimising the SERP of your products. But you’ve got one last thing to do: check your work. It’s recommended to do your checks quarterly. That gives pages time to be crawled by Google, and for user behaviour to interact with the changes you’ve made. And anyway! You’re working for the lasting and holistic betterment of your site, that takes time. Give it at least a week, preferably two, after you’ve made changes, if you’re feeling antsy about something. Get out your list of keywords and phrases you want to start getting better at, then switch to private (Firefox) or incognito (Chrome) and start searching. You want to be in private or incognito so that your own browsing history doesn’t influence your search results. And if you’re not seeing your products, just append your company name at the end of your search, or look for specific product names. It’s okay if you’re not coming up on the first page! What you’re really looking for is a general feel of how things are naturally ranking and what your products and pages look like to a random user. Just like when you were researching keywords, see what folks who rank higher than you are doing and see if it’s something you can apply to your own content. It’s a never-ending cycle of learning about how people browse and how you want your content and products to be received. Next, we’ll be diving into some more granular product management and site optimisation, stepping away from copywriting and SEO (well, nothing is ever fully away from SEO).